James “Jim” V. Klein, age 81, of Clinton, MN, died February 7, 2019, at North Memorial Hospital in Robbinsdale, MN. Mass of Christian Burial will be on Monday, February 18, 2019, at 11:00 AM at Holy Rosary Catholic Church in Graceville, MN. Visitation will be held on Sunday, February 17, 2019, from 4:00 – 6:00 PM at the Mundwiler and Larson Funeral Home in Clinton and one hour prior to services at the church in Graceville on Monday. Burial will be at Clinton City Cemetery at a later date. James “Jim” Victor Klein was born on February 11, 1937, to Joseph and Ethel (Haanen) Klein. Jim grew up in Beardsley and graduated from Beardsley High School in 1955. He married Mary Krekelberg on September 19, 1964, at St. Joseph’s Catholic Church in Perham, MN. Jim and Mary lived in Beardsley from 1964-1976, where he was employed at the Beardsley Elevator. They have lived in Clinton since 1976. Jim was the manager of the Clinton Farmers Elevator and later the assistant manager of Harvest States Elevator in Morris. 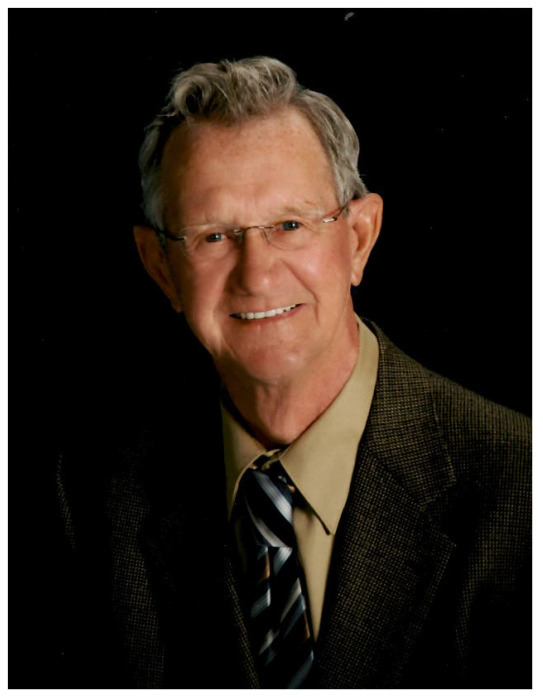 From high school until he retired in 2002, Jim spent 49 years working in the grain elevator business. After he retired, he enjoyed helping out at Moberg Farms. Jim attended St. Mary’s Catholic Church in Beardsley where he was baptized and confirmed. He was currently a member of Holy Rosary Catholic Church in Graceville. In his younger days, he was the fire chief of Beardsley and served in the National Guard. He really enjoyed the Clinton Card Club and being “Mayor” of the Trail’s End Lakefront Community. Jim was a good friend to many because of his caring and unselfish nature. He loved fishing, hunting, and travelling with Mary. He spent many hours pulling tubers and skiers on Big Stone Lake. Jim was so supportive of his girls that he did not miss a single sporting event they were involved in, from 1983-1989. Jim treasured his grandchildren and cherished the times they spent together. Jim is survived by his wife, Mary Klein of Clinton, MN; daughters: Kathy Klein of Clinton, MN; Kristi (Bruce) Moberg of Clinton, MN; and Kim (John) Rollie of Eagan, MN; grandchildren: David Moberg, Kayla Moberg, Joseph Rollie, Nathan Moberg, Jessica Moberg, and Kelly Rollie; numerous brothers-in-law; sisters-in-law; nieces; and nephews. He was preceded in death by his parents; brother, Joseph; and sister, Joyce Doll.